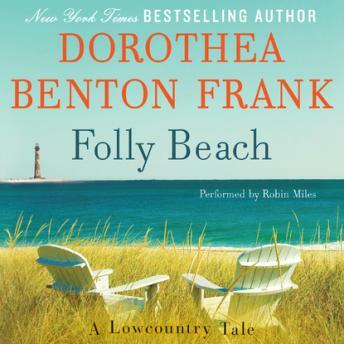 The incomparable Dorothea Benton Frank is back with her latest Lowcountry Novel, Folly Beach. As she has with Lowcountry Summer, Return to Sullivans Island, Land of Mango Sunsets, and so many other delightful literal excursions to this magical Southern locale, the perennial New York Times bestselling author enchants readers with a heart-warming tale of loss, acceptance, family, and love—as a woman returns to the past to find her future. Folly Beach is a constant delight from “a masterful storyteller” (Booklist) who has already secured her place alongside Anne Rivers Siddons, Sue Monk Kidd, Rebecca Wells, Barbara Delinsky and other contemporary queens of bestselling women’s fiction.